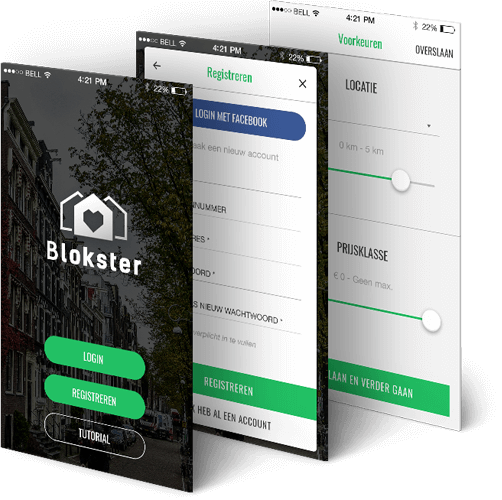 Find a new house in a fun and easy way with the new Blokster app. Filter out the houses by number of rooms, location or the price. Swipe left or right to check the houses shown, according to your preferences. Every house has it's own detail page with valuable information. The user can make an appointment to see the new house or sign-up for an open door day. Activate push notifications to receive a message when the next open door day will take place. 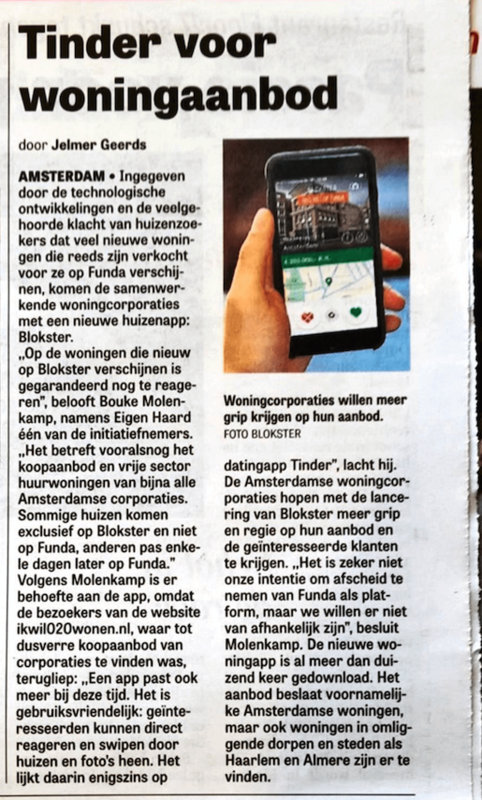 To find more about Blokster visit their website. Swipe, estimate and select your favourite houses. Get priority for houses with the flow-through logo if you rent a house from a corporation. See the houses based on your preferences. Adjust the search area to look for houses near you or another neighbourhood. Make an appointment to see the house or sign-up for an open door day. Rate the houses and sort out the ones that suit you. Activate push notifications for the coming open door days, news and the new house. 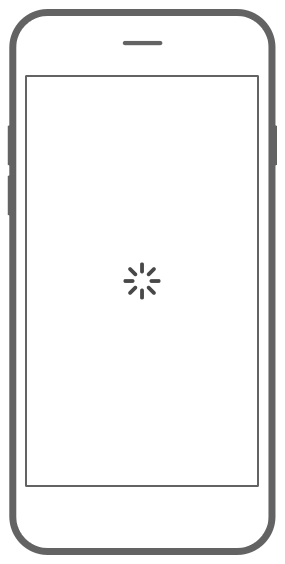 Push message based on your location preferences. 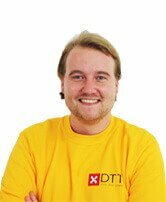 The experience we had with DTT as an app developer is very positive. They have a great ability to quickly and efficiently turn a joint idea into an actual working app. It is a proper challenge to develop a good concept with two independent housing cooperations in Amsterdam, Eigen Haard and The Alliance. With the commitment, expertise and pragmatic hands-on approach, DTT's work is beyond expectation. Through good, direct and precise communication we have created a great product in a very short time. Recommended.